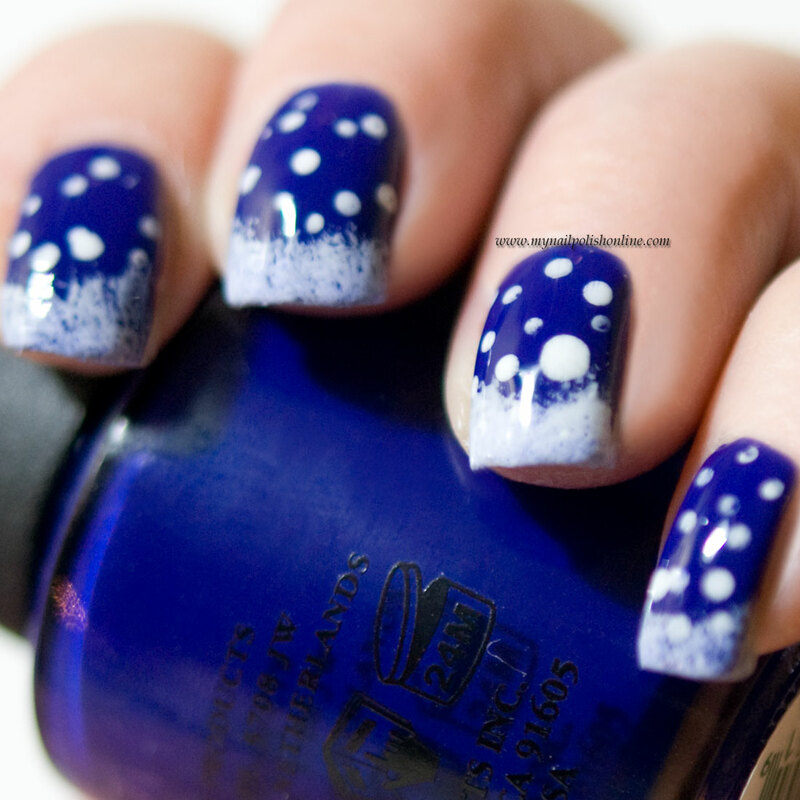 How about snowy nails today? This is a quick and easy nail art to do. I started with a blue background, painting my nails with OPI – Eurso Euro. 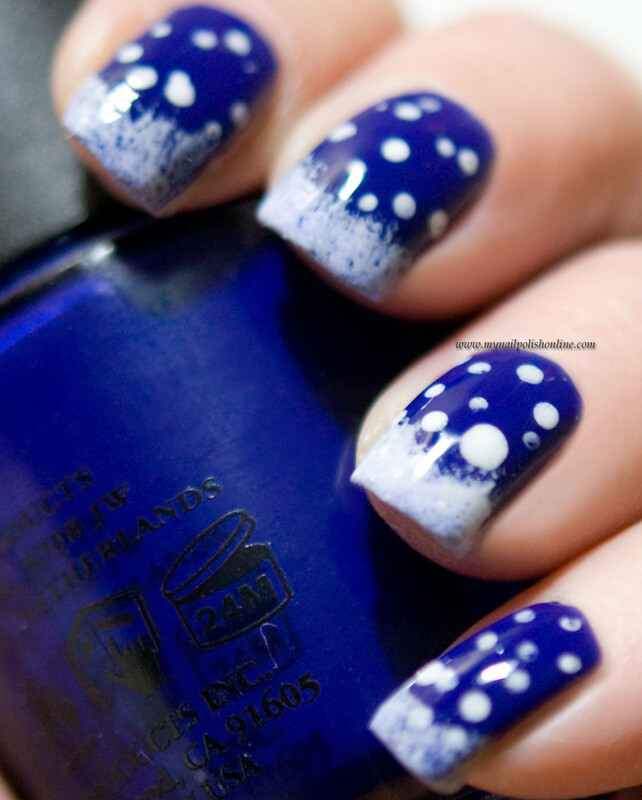 Then I sponged a little bit of white on my nail tips using my favorite white for nail art right now, Nordic Cap NP13. I also did some snowflakes falling down using a dotting tool. Perfekt vintermanikyr, så enkelt men så snyggt! Orkar jag ska jag göra nåt liknande!